Joining our Canberra day trip including the Floriade is the very best way to take in all our nation’s capital has to offer plus a little bit extra! We travel with a small group from Sydney through Australian bush and sheep country and visit all Canberra’s highlights during a fun and personalised day! 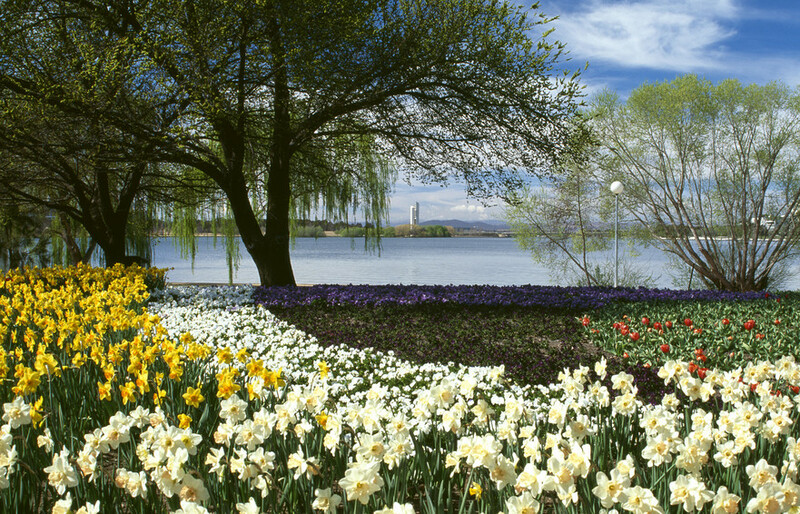 The Floriade is an iconic event that runs one month a year (from mid September to mid October) and showcases one million flowers in bloom throughout Canberra’s Commonwealth Park! Combine world class attractions, amazing architecture, futuristic planning & the most beautiful flower fields in an amazing day trip! Your guide for the day will pick you up early morning and soon you’ll be enroute to our Bush Capital, cruising the NSW Southern Highlands through typical small Australian country towns. We’ll stop somewhere along the way so you can grab a coffee (own expense) and stretch your legs before arriving at Canberra. We take a guided tour at Canberra Parliament House; an architectural masterpiece costing $1.1 billion. From the inner walls of power to walking on the roof, this is an amazing spot to explore. We then take a break for lunch (own expense) before taking you to the Floriade, where you can see one million flowers in bloom throughout Canberra’s Commonwealth Park! After your time walking around a flower lovers’ paradise, we’ll take you on a visit of the Australian War Memorial. Time for reflection as you’ll learn about the legends of Gallipoli, the ANZACs and sacrifices and losses suffered by Australians in past wars fought around the world. We then take a drive through Yarralumla, one of Canberra’s largest suburbs for a close look of the many national embassies. Each embassy is uniquely designed to reflect aspects of their country’s culture! After a fun and fact-filled day, we take you back to Sydney.